We are your trusted partners in brick wall repair and other types of masonry work. Our range of services is diverse from commercial to residential projects. We can take on any wall that is cracked or one that has caused water damage to your property. Damaged walls are great hazards and we do all we can to give prompt solutions and satisfy our clients. No project is too small or big. We do them all. Do not wait for too long if you need a brick wall repair. Call us at 916-571-0908. Our professional brick contractors are equipped with the fundamental skills and tools to precisely carry out wall repairs among other masonry jobs in Folsom and other cities around Sacramento County. ​Call 916-571-0908 today to get a free quote. Normally, brick blocks disintegrate when the mortar between the units starts to break down. In addition, water that finds its way between cracks and damaged mortar joints can lead to a wall failure. How water finds its way inside the bricks is a question of poor or damaged waterproofing material. We, at brick wall repair contractors from Folsom to fix any of the above issues. 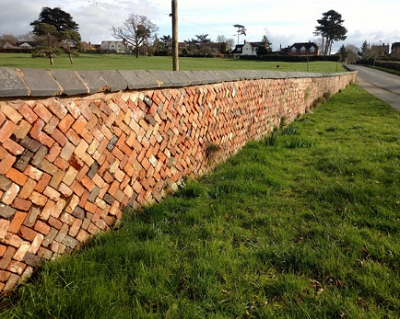 Brick masonry produces attractive walls with limitless decorative options. Not only do brick contribute to a greener planet but also money in the long run. The materials are readily available and we have a variety of designs you can choose from as soon as you request contractors for installation. Walls made of bricks last for many years but sometimes failure is inevitable especially if the initial installation was done poorly. Brick walls neither catch fire nor get damaged by termites. As one of the high-end wall finishes, you should not watch it go down the drain. Rather, call us immediately for repair 916-571-0908.